AUSTIN, TX – State Senator Donna Campbell recognized Spencer Higdon, a graduate of San Antonio Christian High School currently enrolled at Texas A&M, as the 2017 recipient of the Texas Armed Services Scholarship Program (TASSP) for Senate District 25. The announcement was made during a formal presentation at the Capitol on Friday with Spencer’s parents in attendance. “Spencer Higdon is an outstanding young man who exemplifies the virtues of those who serve our great nation. 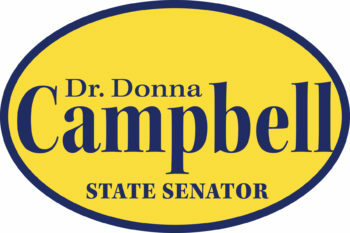 Among a distinguished field of applicants, Spencer’s leadership skills, academic record, passion for community service, and love for his country made him the strongest candidate for this award,” said Senator Campbell. “I believe he has a bright path ahead of him and I wish him the best as he pursues his interests at Texas A&M University,” said Senator Campbell. A graduate of San Antonio Christian High School, Spencer maintained a 4.2 GPA and was elected president of his high school class. Additionally, Spencer achieved the rank of Eagle Scout, participated in the National Honor Society, and earned numerous student leadership awards. Spencer said he is following the footsteps of his role model, his grandfather, who served in Iraq. Spencer joined the Texas A&M Corps of Cadets in the Fall of 2017. The Texas Armed Services Scholarship Program was created by the 81st Legislature to encourage students to participate in ROTC programs and to enter a branch of the armed forces. Each state senator is allowed to nominate one recipient from their district.